Have you test driven the new 2017 Lincoln MKZ yet? If you haven’t drive the 2017 Lincoln MKZ, you’re missing out on a seriously awesome driving experience. The 2017 Lincoln MKZ takes major competitive action with 12 new features and technologies, the new available 3.0L GTDI V6 engine, plus a new interior and exterior design. The Lincoln team of designers surely exceeded out expectations of quality, design and personal service. Some Features, like the Enhanced Active Park Assist System and Revel Audio System for example, were first available on the 2016 Lincoln MKX. 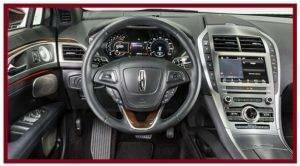 However, these features are new to Lincoln MKZ and its loyal owners. It’s important for Beach Automotive Group to let everyone know about all the fantastic model year enhancements. There’s an amazing level of style, quality, craftsmanship and effortless performance for the 2017 Lincoln MKZ. 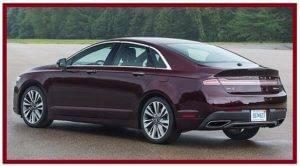 Designers have given MKZ a new front fascia that includes a redesigned signature grille and two new headlamp designs. They have also redesigned the lower rear fascia and offer an all new aluminum wheel lineup. HID adaptive headlights are standard and LED adaptive headlamps are optional. Nearly all of the interior surfaces have been updated in order to improve quality, fit and finish. The vehicle has new door trims to match the premium audio system. The seats have new memory seat controls with Set button and two settings. The center stack has been redesigned, as have the console, cup holders and armrest. Even the air registers have been redesigned in order to improve air flow throughout the vehicle. There have been so many things updated in the 2017 Lincoln MKZ that we don’t have enough room to keep going here. The best way to learn about the beauty and style that is MKZ is to see and drive it for yourself. Give Beach Automotive Group a call today. Our representatives will be happy to show you how you can get your very own 2017 Lincoln MKZ. Be riding in luxurious style today!